Description A small robot is trying to fly higher and higher. Buy in store a variety of upgrades to better fly and collect bonuses. 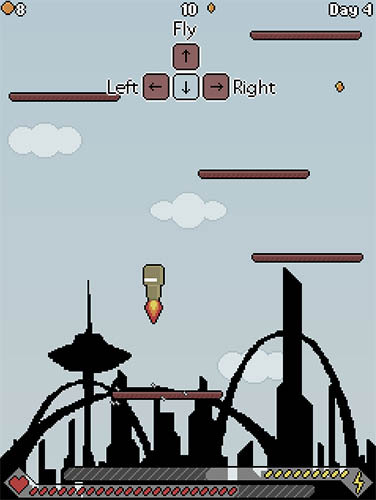 Controls Arrows or WASD to move. Nice old-school jumper with cool music.